It is a cold winter's night when Karl enters the White Horse Tavern looking like he's swallowed a thundercloud. 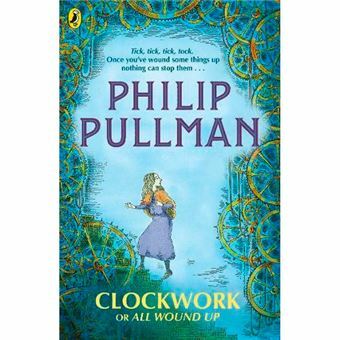 His final task as a clockmaker apprentice is to make a new figure for the great clock of Glockenheim. He has not made the figure - or got any idea of what it could be, and the unveiling is tomorrow. Fritz is also in the tavern; there to read aloud his new spooky story. Like Karl, he hasn't finished. Well, he knows how the story starts and he knows it's called Clockwork - so, with the snow swirling down outside, he sets his story going and just has to hope that the ending will come to him as he tells it.